It doesn’t feel like two minutes ago that I posted a Lush haul but I’m already back with another. 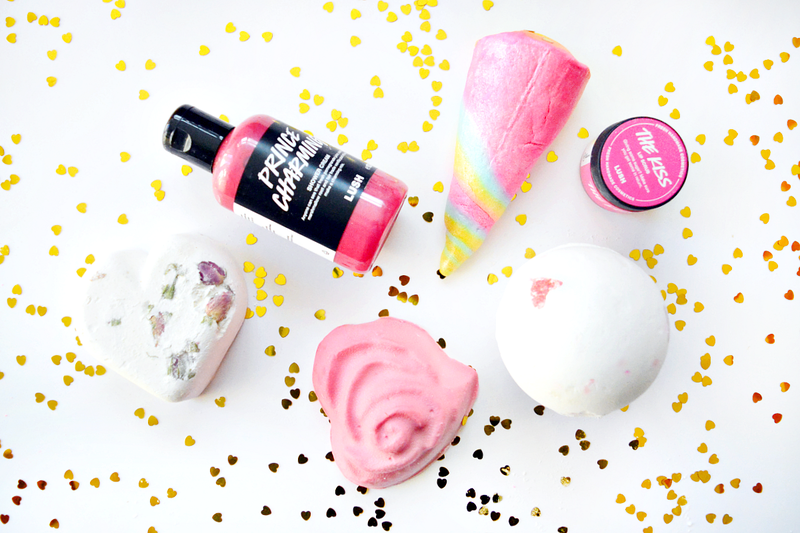 Lush launched their Valentine’s day collection a few weeks ago and I have to say it’s one of my favourite collections to date - thanks in no small part to the amazing, pastel rainbow Unicorn Horn, bubble bar. As with all of Lush’s seasonal collections there are variety of gift sets ranging from just £9.95 up to £45.95 as well as individual bath bombs, bubble bars, soaps, a massage bar, shower cream, lip scrub and lip gloss. I treated myself to two of the smaller gift sets. The first is simply called '?' ; this contains the Prince Charming shower cream - a sparkly, pink blend of vanilla, marshmallow, cocoa butter and pomegranate juice which smells just like Terry’s Chocolate orange - and a bar of ‘Roses All the Way’ soap which is a silky smooth bar of rose oil infused soap. The second gift set I went for was the ‘In Your Dreams’, I simply couldn’t resist the sparkly, pastel packaging. 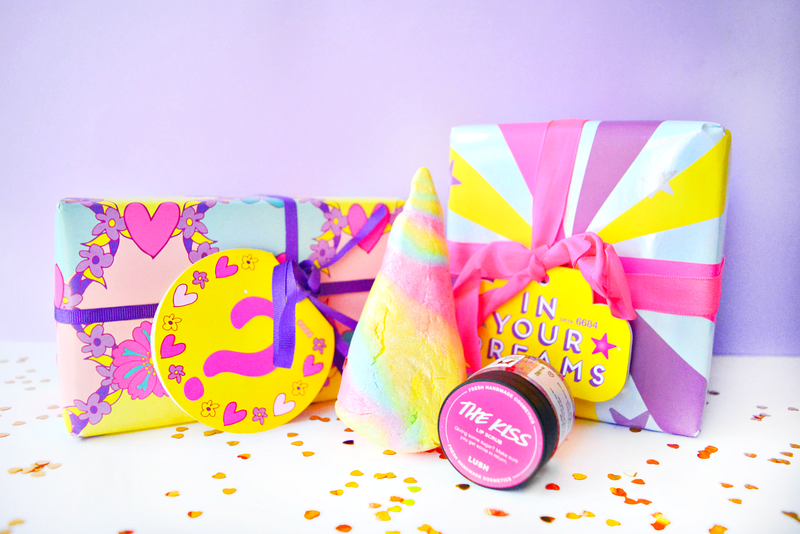 The set comes with an incredible Unicorn Horn bubble bar and a Tisty Tosty bath bomb - an enchanted, white heart shaped bomb filled with rosebuds which feels like something Rapunzel herself would use. I also picked up ‘The Kiss’ lip scrub and a Lover Lamp bath bomb. I’m very tempted to go back and pick up the Love Locket bomb too but with everything I got, plus all the Christmas bits I’ve still got to sift through I think I’ll have to leave it haha! My name is Anjalee and I’m a Lush addict. 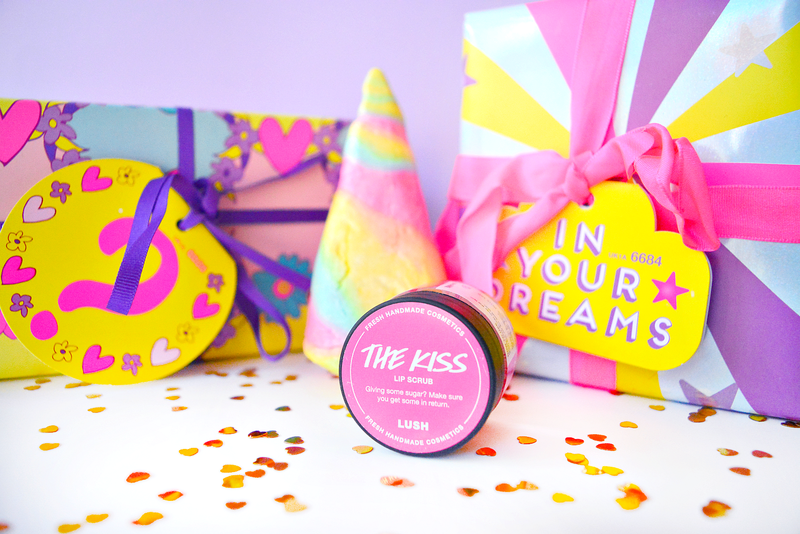 What did you get from the Lush Valentine’s Day collection? These photos are absolutely adorable! Your post may have just convinced me to pick up some new LUSH for myself, I've been trying to cut back but these all look so amazing!